*FantaSea Resorts at Atlantic Palace* literally puts you in the middle of Atlantic City's action. The luxurious, oceanfront high-rise property is located on the famous Atlantic City Boardwalk in the heart of the casino district. The property features a outdoor pool, sun deck, hot tub, steam room, sauna, fitness center, game and billiards room, and laundry. The beach, casinos, celebrity entertainment, shopping, and dozens of dining options are right outside your door. There are many other attractions within walking distance. 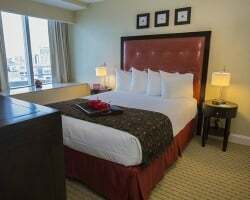 For your convenience, there are covered parking and a 24-hour front desk to assist you with every aspect of your stay. 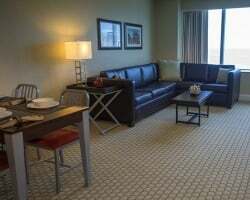 Here you can relax with all the comforts of home when you take a break from the non-stop action of Atlantic City! Located right on the boardwalk! Floating week of your choice in Atlantic City! Buyer may receive a title fee credit, inquire for details! Wonderful resort located right on the boardwalk! Floating week! Buyer may receive title fee credit, inquire now! All Offers considered!!! Bring all offers! Beautiful resort in the middle of all the excitement in Atlantic City! Floating week! Inquire for details! Motivated and Eager seller! Explore Atlantic city or travel anywhere in the Fantasea network! Inquire now about this luxurious resort! Family friendly resort right on the boardwalk! Close to shops, restaurants and more! Buyer may receive a title fee credit, inquire for details! Ideal location in the heart of all the action! Close to the beach, shopping and more! Floating week! Inquire for details! Highly motivated seller! Price Negotiable.Conveniently located on Atlantic City Boardwalk! Red Season Week. Awesome Views of Boardwalk and Beach. Come see the beach, casinos and more! Floating week! Buyer may receive a title fee credit, inquire for details! Stay in the heart of all the action! Close to casinos the beach and more! Buyer may receive a title fee credit, inquire for details! Motivated seller! Floating week of your choice at this lovely Atlantic City resort! Enjoy staying right on the boardwalk! Inquire for details! Floating red season week in Atlantic City! Test your luck in the casinos! Buyer may receive a title fee credit, inquire for details! Come to Atlantic city and enjoy beautiful beaches, casinos and much more! Great resort right on the boardwalk! Annual floating week of your choice! Buyer may receive a title fee credit, inquire for details! Motivated Seller! Price reduced for a quick sale. Biennial odd usage in a floating, white season week! Relax in Atlantic City!! 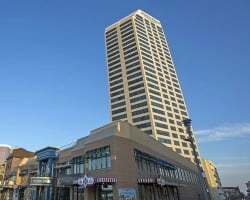 Ideal location right on the Atlantic City Boardwalk! Close to the beach, casinos and more! Buyer may receive a title fee credit, inquire for details! Ideal location in the heart of all the action! Floating week! Buyer may receive a title fee credit, inquire for details! Enjoy all that Atlantic City has to offer! Beautiful resort with the comforts of home! Buyer may receive a title fee credit, inquire for details! Resort is in the heart of all the excitement on the boardwalk! Buyer May Receive A Title Fee Credit, Inquire For Details! Resort is in the heart of all action in Atlantic City! Buyer May Receive A Title Fee Credit, Inquire For Details! 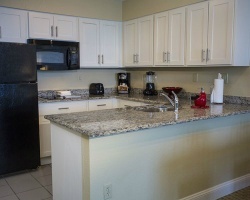 Platinum status which allows you to upgrade to a 2BR for no additional cost! Buyer May Receive A Title Fee Credit, Inquire For Details! Ideal location in the heart of all the action! Buyer May Receive A Title Fee Credit, Inquire For Details! You pick the week each year to enjoy this fantastic resort & the local Atlantic City attractions! Buyer may receive a title fee credit, inquire today! 1 bedroom 1/2 bath, week available this year! RCI membership paid for! Buyer May Receive A Title Fee Credit, Inquire For Details! Purchasing this gives access to yr. round rates to stay at resort for discounted rates. Buyer May Receive A Title Fee Credit, Inquire For Details!